The competition between major retail companies has been heating up over the past year or so, with most making supply chain operation adjustments to better fit the ever-evolving needs of e-commerce. Earlier this year, Target Corporation caused a stir when it hired Arthur Valdez as its new executive vice president and chief supply chain and logistics officer. The controversy came to a head when Amazon, a former employer of Valdez, filed a lawsuit against him, alleging that he violated a non-compete agreement, though the case was later dropped. This week, Target announced that it is now appointing another Amazon veteran, Preston Mosier, as the senior vice president of fulfillment operations. In this position, Mosier will be responsible for overseeing the product and customer management processes for direct fulfillment and will work under Valdez. Throughout his career at Amazon, which spanned a decade, Mosier held a number of supply chain leadership roles, many of which involved optimizing delivery operations. Before joining Target, he most recently worked for Liquidity Services, a reverse supply chain logistics company. Therefore, it is unlikely that Mosier will run into the same issues Valdez did from Amazon regarding the new employment. "Target has a sophisticated distribution network - plus nearly 1,800 stores across the country that are well-positioned in local neighborhoods," Mosier said in the corporate press release. "I'm excited to work with the team, at a brand I've long admired, to continue refining how we use those assets to improve speed and precision, while also reducing cost and complexity." The two former Amazon employees are not the only executives Target has recently added to its supply chain team who have worked for other major retail companies. Last month, it named Benjamin Cook its new senior vice president of global logistics, inventory allocation and replenishment. Cook was hired by the company after working as Apple Inc.'s director of supply chain and logistics strategy. 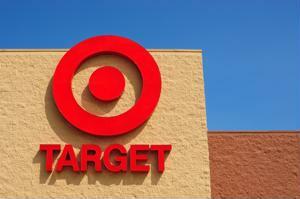 In May of this year, Target also appointed Mark Tritton as its chief merchandising officer - he previously held the position of product group president at Nordstrom Inc.